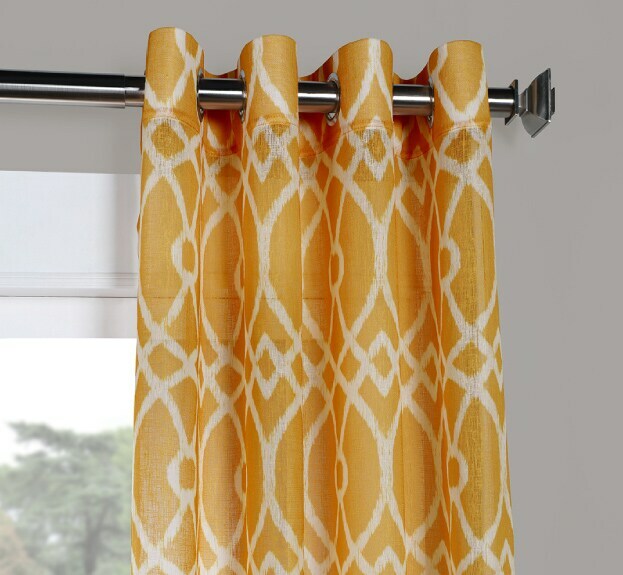 and decorative curtains. Use this guide to help you decide which style works best for you. 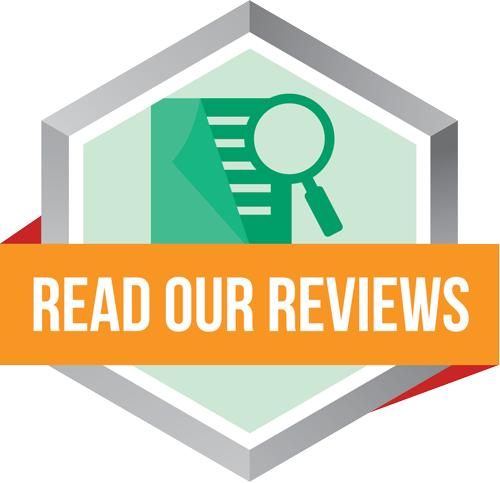 Click here to view our Instructional Videos that will help you from everything from measuring to hanging your new window treatment. 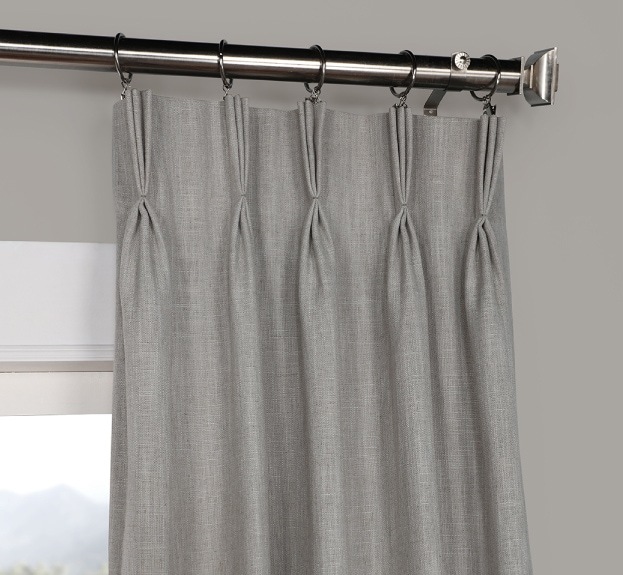 Our most simple and effortless style, pole pocket drapes are made with a 3 inch rod pocket at the top that can be sheered on a rod or hung from rings or carriers. 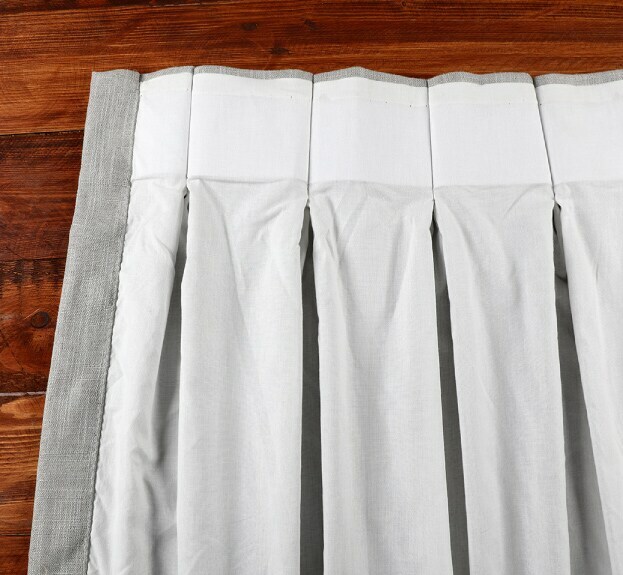 The pocket will accommodate a pole up to 1 1/2" in diameter. 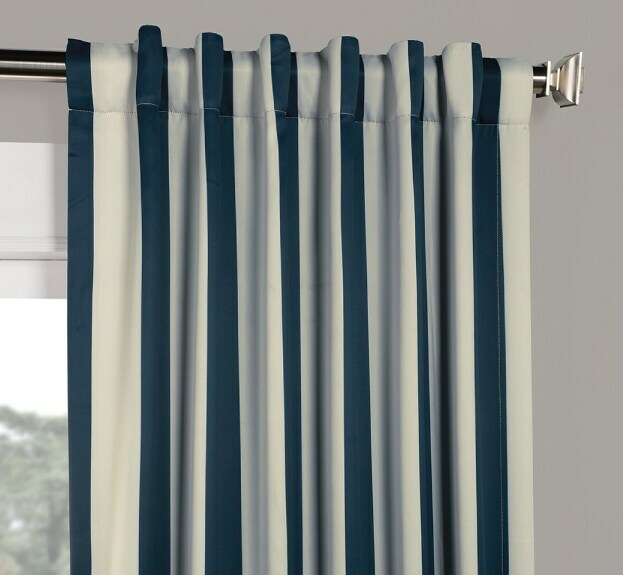 A versatile top treatment, these panels can be sheered on the Rod using the pocket, hung using the back tabs to create a rippled look, or even hung on rings to enhance their functionality. 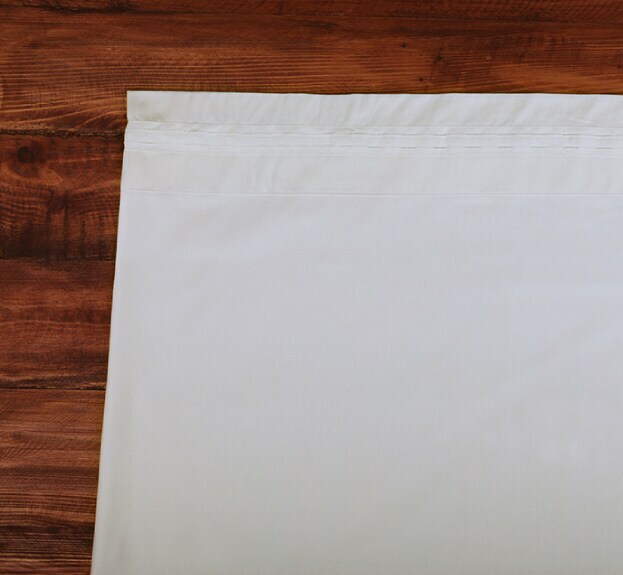 The pocket will accommodate a pole up to 1 1/2" in diameter. 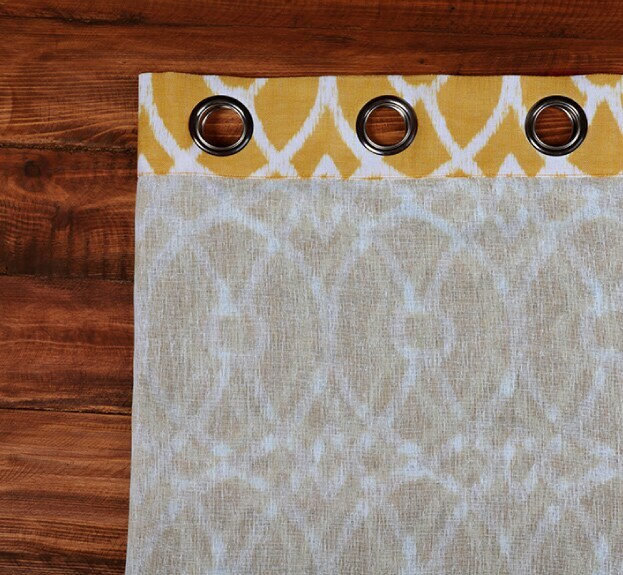 These panels can also be hung from rings. 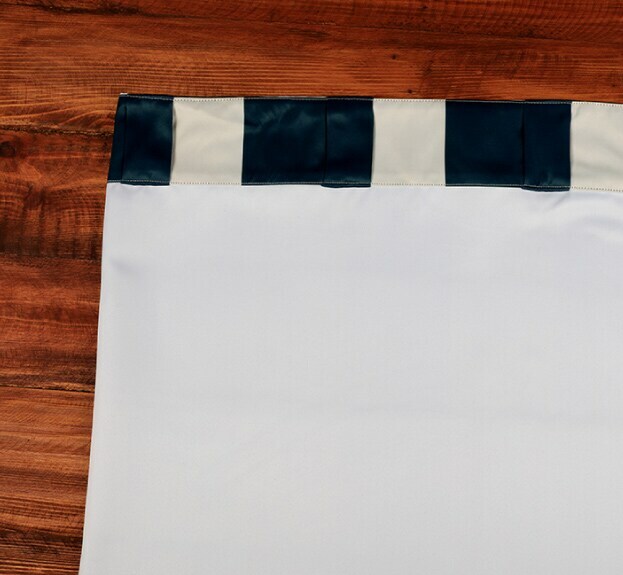 Our most versatile top treatment these panels can be sheered on a rod using the pocket, hung using the back tabs for a fixed ripple look or attached to rings using the hook belt and drapery pins. 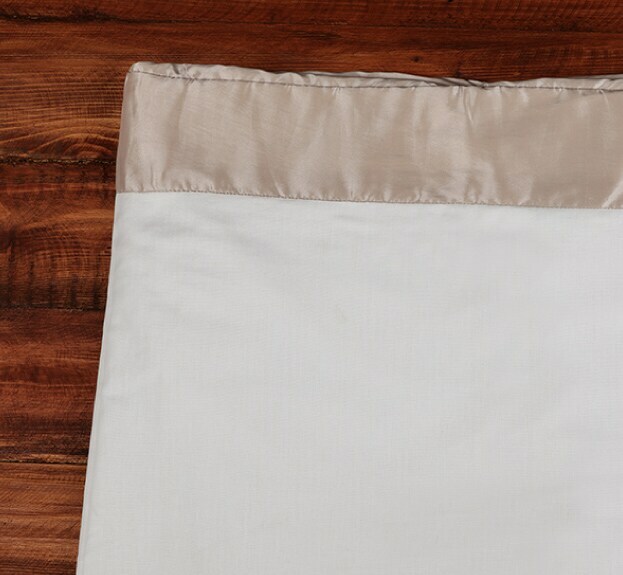 The pocket will accommodate a pole up to 1 1/2" in diameter. 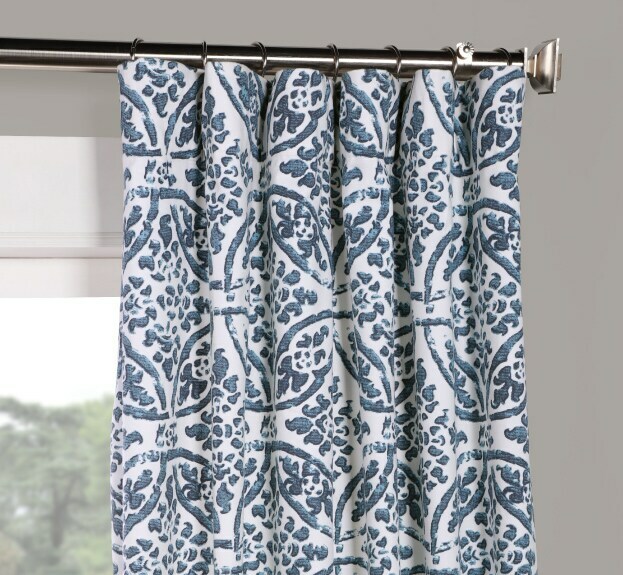 This style panel features large metal eyelets that slide onto a curtain rod. They are ideal if you want a clean modern look for a treatment you do not intend to pull back and forth every day. 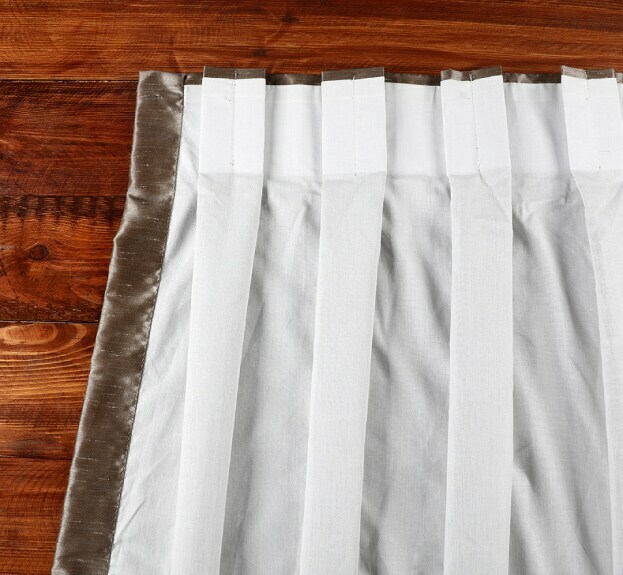 The inside diameter of the eyelets is 1 5/8". We do not recommend that you use a rod with a diameter larger than 1 3/8" for ease of use. 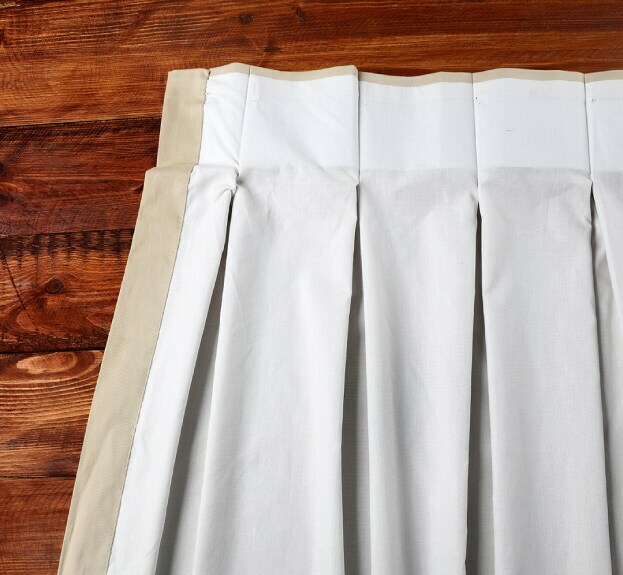 Modern and smart, inverted pleats build in the fullness you need without the more traditional pinched pleats. 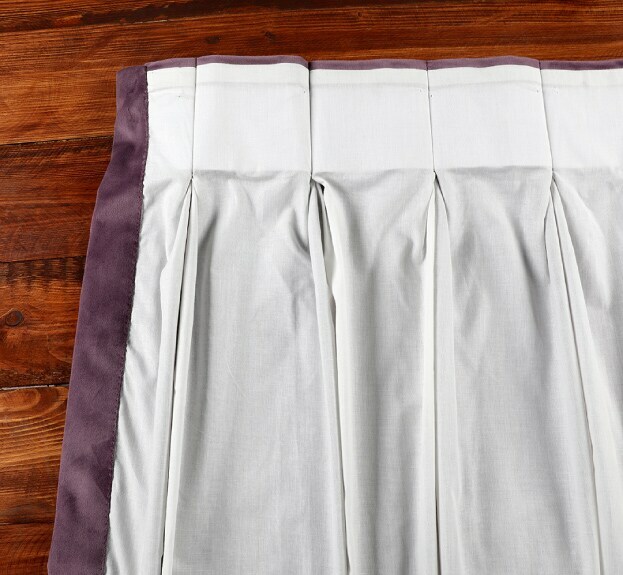 Made like boxed pleats, these panels look clean and flat across the top when pulled closed. 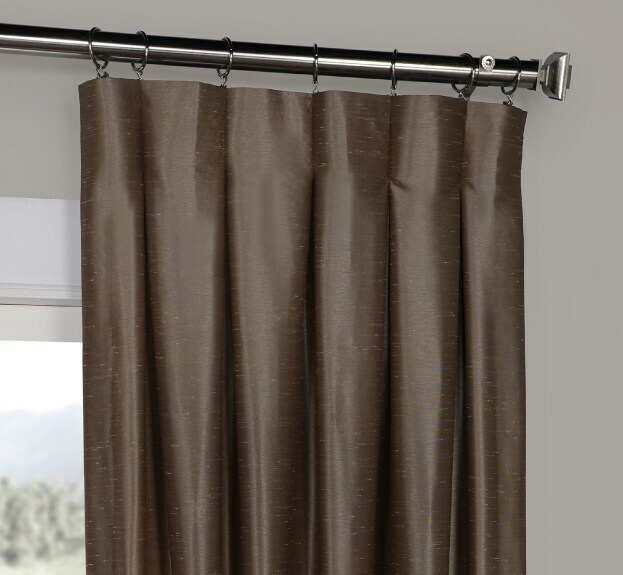 Suitable to hang from rings or carriers. 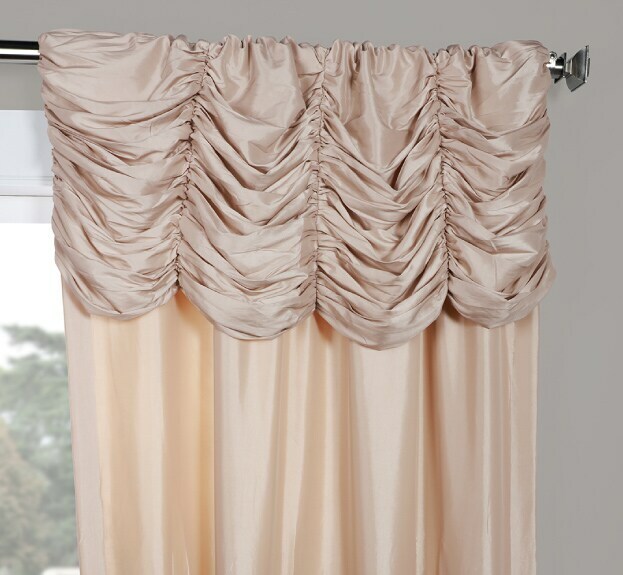 Chic and stylish, Parisian pleated panels add that little upscale touch that says custom made refinement. 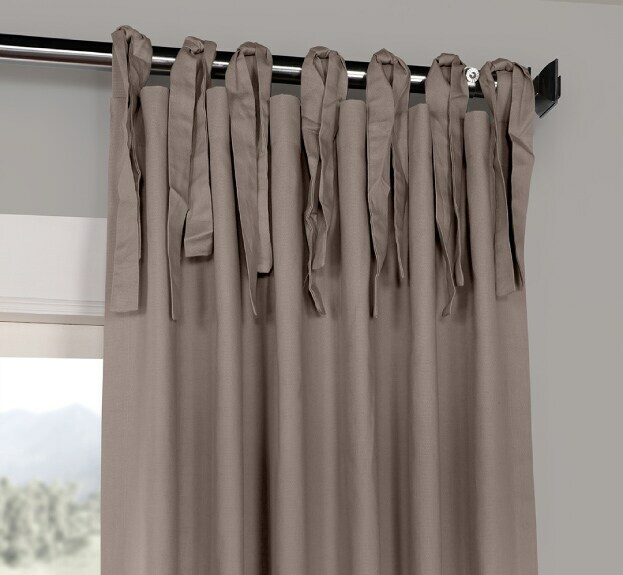 Suitable to hang from rings or carriers. Like little champagne goblets, this top treatment is a fashionable statement that adds drama and charm to your decor. Suitable to hang from rings or carriers. 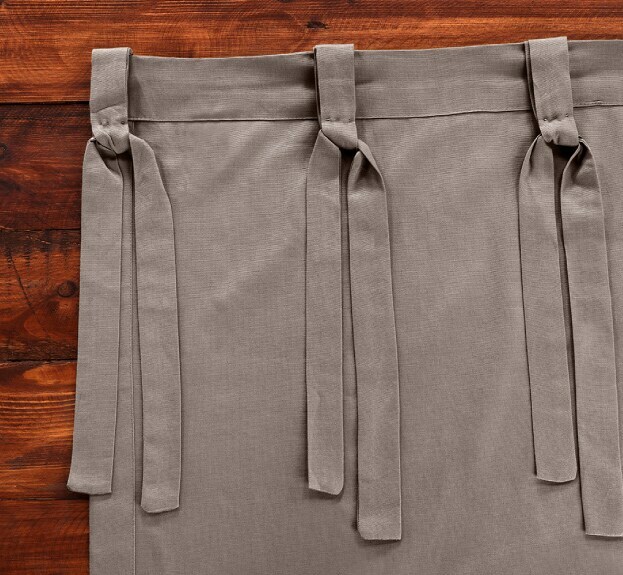 Simple, classic and elegant, French pleats add sophistication without the fuss. 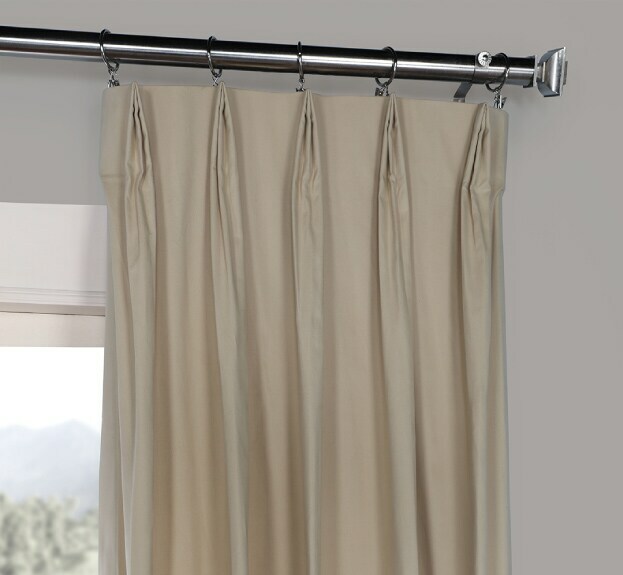 Suitable to hang from rings or carriers they are your best choice for panels hung on a traverse rod. These panels scream uptown luxury. 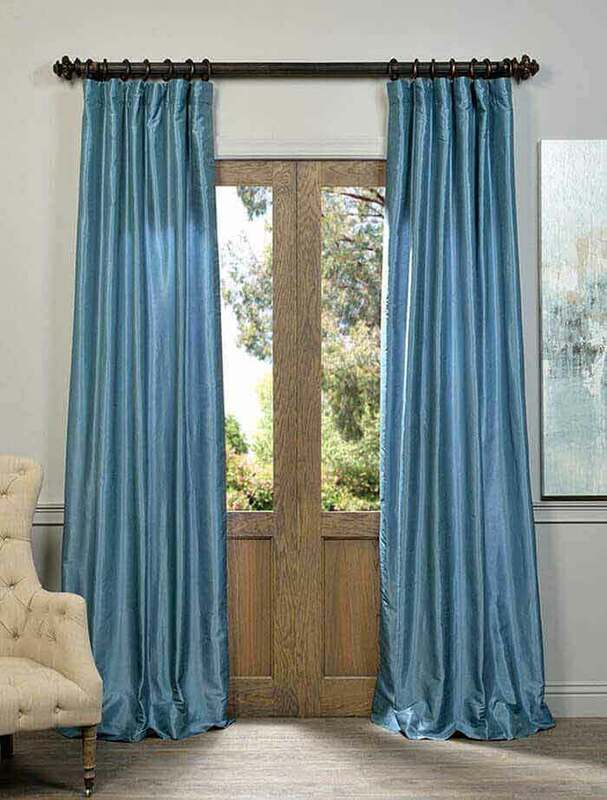 Made with a pole pocket at the top, these panels can be sheered on a rod or hung from rings. 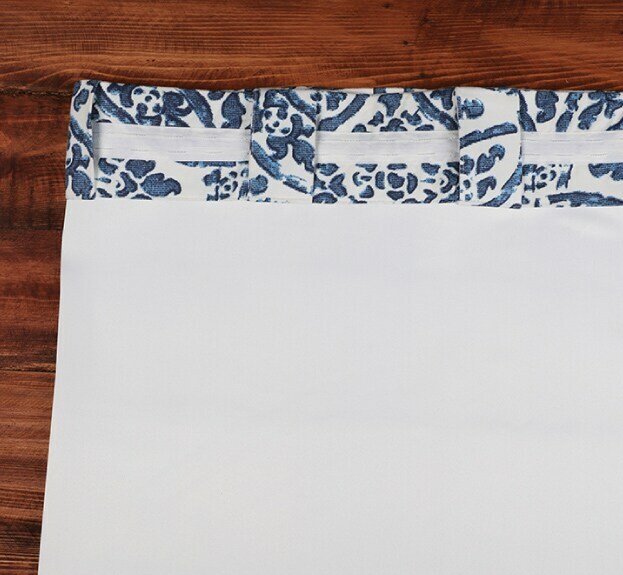 This style works best when kept stationary. 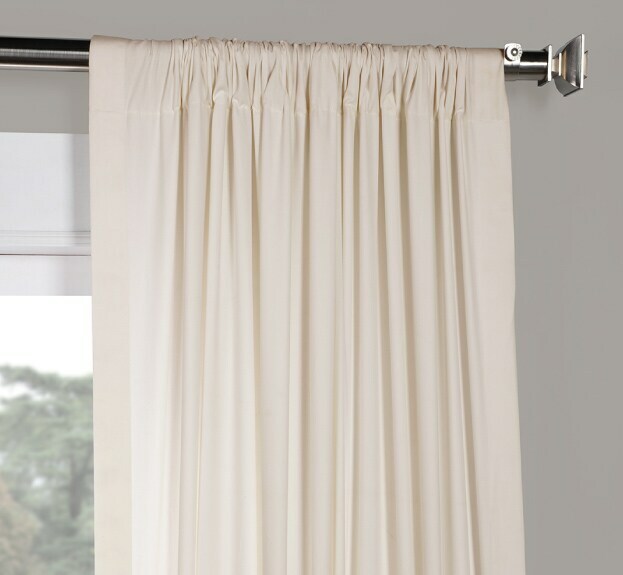 The pocket will accommodate a pole up to 1 1/2" in diameter. 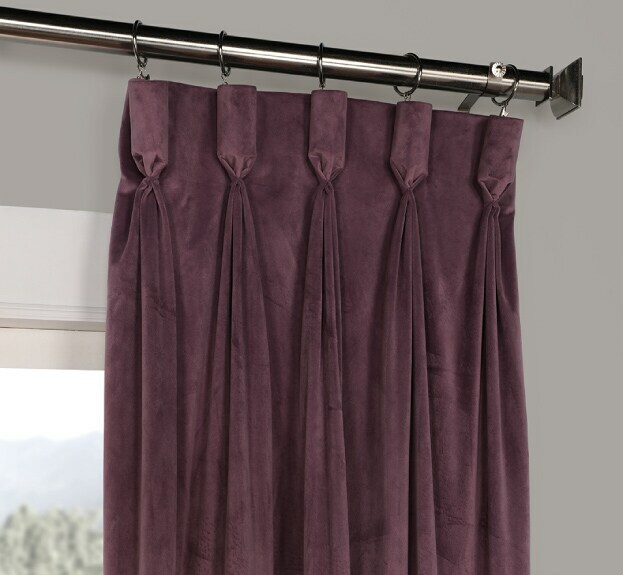 Tie top curtains add a romantic, casual look and do not require any additional hardware to be installed. The 20 inch long ties can tied in simple square knots or into bows or mock neck-ties for a touch of whimsy.